The week of March 21st through March 26th marks the anniversary of one of the most devastating natural disasters ever to hit the United States. It was during this week 100 years ago, in the year 1913, that a system of ravaging storms swept across the American Midwest and parts of New England. The storms brought with them high-speed winds and torrential rains, causing tornadoes and massive flooding. By the time the storms had passed through the area, they had caused billions of dollars’ worth of damage. The week of storms killed hundreds of people and left thousands more homeless. Oversaturated watersheds like the Greater Miami in Ohio swelled with rain water, and their runoff filled the streams and rivers of the Midwest to overflowing. The intense pressure of the rising waters broke through dams, bridges and levees as if they were twigs. 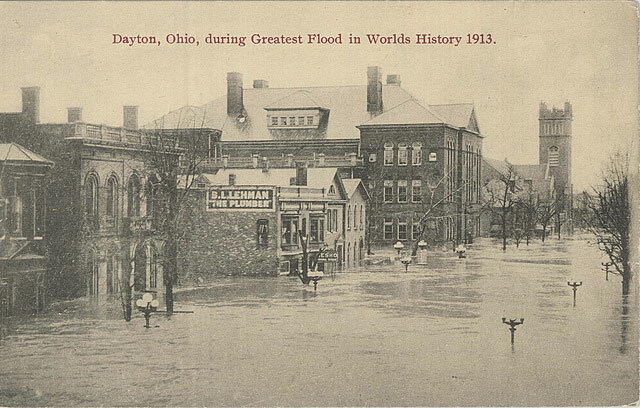 The raging flood waters swallowed entire towns and cities, and left parts of Dayton, Ohio in water up to 20 feet deep by March 26th, 1913. One individual whose story is tied in inextricably with the events of 1913 was James Cox, who would eventually found one of America’s most powerful media empires. Born on March 21, 1870 in Jacksonburg, Ohio, James M. Cox remained in Ohio throughout his childhood and adolescence. He passed the teachers’ examination after having completed just two years of high school. At the age of 28, having established his teaching career, Cox became the owner and publisher of the Dayton Daily News. He made yet another career switch in 1909, winning a House seat as a representative of Ohio. Cox would maintain his position in the House until being elected Governor of Ohio in January of 1913. When the Dayton flood occurred, Governor Cox was faced with one of the biggest natural disasters ever to hit the United States. After only three months in office, Governor Cox was faced with one of the biggest natural disasters ever to hit the United States. 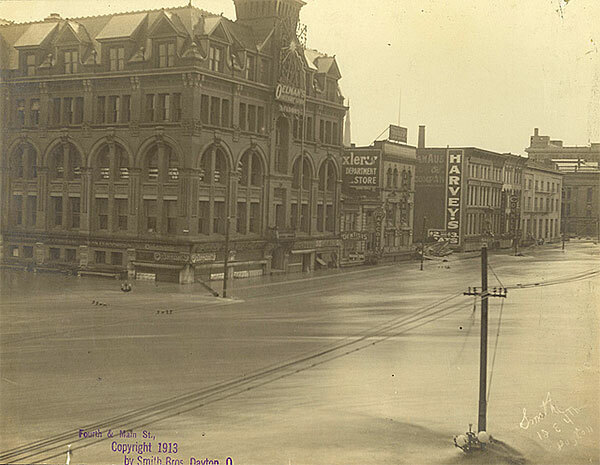 During the week of March 21st-27th, 1913, Ohio was hit with tremendous storms. Cox’s competent handling of the storms’ aftermath earned him support and admiration. Governor Cox received minute by minute updates from the only working telephone line in Dayton. Fully aware of the gravity of the situation, Cox wasted no time in getting aid to the victims of the flood. By the next morning Cox had turned off the natural gas in Dayton to avoid fires, dispatched the Ohio National Guard to the city, appealed to the Ohio Legislature for $250,000 in aid, and telegraphed President Woodrow Wilson asking for federal aid for his citizens. Cox’s display of dedication to the people, as well as strength in his convictions, garnered him enough national attention to join the 1920 race for President of the United States, with Franklin Roosevelt as his running mate. Though he was not elected President, Cox’s media empire –founded in the years following the election – enjoyed much success. Cox Enterprises remains a multi-billion dollar media company to this day. Cox died on July 15, 1957 at the age of 87, and was buried in Woodlawn Cemetery in Dayton, Ohio, leaving behind his wife, two children and ex-wife. 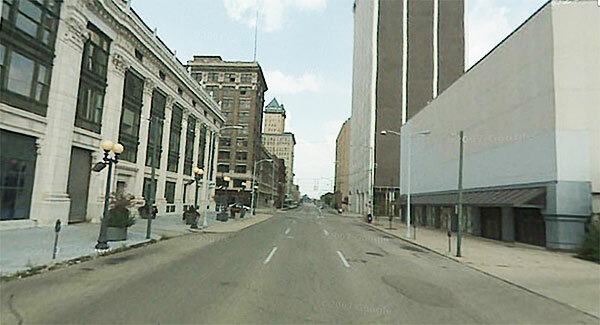 The Great Dayton Flood finally came to an end on the 26th of March. 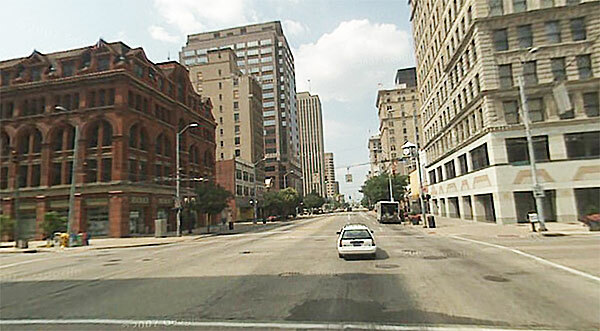 By the time the flood was over, the city of Dayton had suffered widespread and significant damage, and the city's population had been hit with numerous deaths and displacements. 14 square miles of the city were now covered with a blanket of water, and some 20,000 homes had been completely destroyed. In all, the flood ended up costing the city of Dayton nearly $100 million worth of damage, a sizable sum which would amount to a whopping $2 billion in today's dollars. More than 360 people had been killed in the flood, and an estimated 65,000 people were left homeless. It took the city more than a year to completely clean up the damage, and it was over a decade before Dayton’s economy returned to the levels it enjoyed before the flood hit. Thanks so much to Upfront with NGS for letting us share a piece of this historical project. We’re humbled by the interest in this project, and we really hope you enjoyed this snippet of history! Don’t forget to check out HistoricNaturalDisasters.com for more images and for information on our Mapping History Contest – help us figure out the locations pictured in historic photos from 1913 and you could win $100! Editor’s Note: Upfront with NGS has previously written about the value of photographs, the overlay of historic and modern images and the value of researching disasters that might have impacted our ancestors. 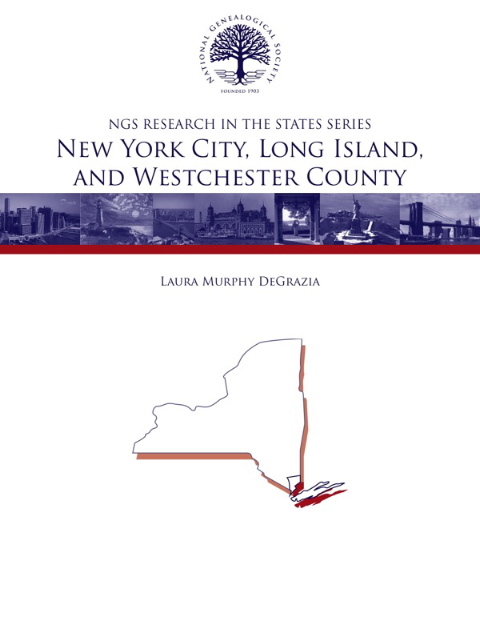 NGS announces the release of the newest edition in its Research in the States series: Research in New York City, Long Island, and Westchester County. 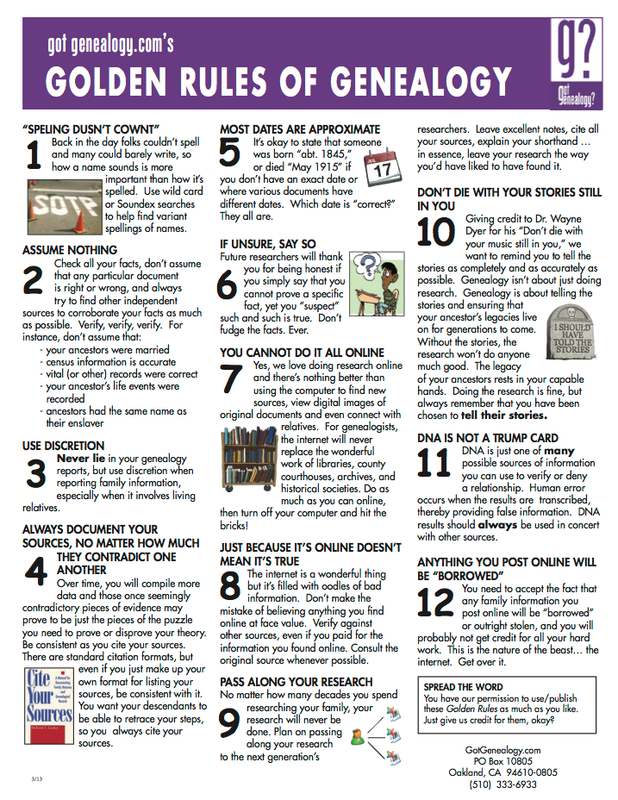 This publication was written by native New Yorker and nationally recognized genealogist Laura Murphy DeGrazia, cg, fgbs. Laura is a trustee and former president of BCG and co-editor of the NYG&B Record. Barbara Vines Little, cg, fngs, fvgs, is a former NGS president and is the current editor of the NGS Research in the States series and the Magazine of Virginia Genealogy. Welcome to the seventh edition of our bi-weekly feature Upfront Mini Bytes. In Upfront Mini Bytes we will provide eight tasty bits of genealogy news that will help give you a deeper byte into your family history research. Each item is short and sweet. We encourage you to check out the links to articles, blog posts, resources, and anything genealogical! As a lover of photographs, I enjoyed reading Take That, Instagram: The Enduring Allure of Vintage Snapshots (brought to my attention by Thomas MacEntee via his Facebook page). By their nature, all photographs are of something “in the past” the moment they are taken. Older images reflect not our own lives but also the lives of our ancestors. Do you remember your first driver’s license? I don’t. I remember the day I received it – what a glorious day – but I just don’t remember what it looked like. If you or your ancestors lived in New York, you can now revisit what driver’s licenses looked like in Evolution of the New York Driver’s License. Want to keep up on what has been digitized by NARA’s partners, Ancestry.com and Fold3? Check out Microfilm Publications and Original Records Digitized by Our Digitization Partners. Does your ancestry include German-speaking Jews? If so, this news is for you. Leo Baeck Institute Launches DigiBaeck German-Jewish History Archive. The Leo Baeck Institute (LBI), New York City, has completed the digitization of its entire archive and provides free online access to primary source materials encompassing five centuries of Jewish life in Central Europe. Newspapers – so many to read, so little time. Hopefully you are familiar with the Chronicling America project (Library of Congress). The underpinning of this project is the National Digital Newspaper Program. Learn more about what states (and specific institutions) have participated so far along with related blogs, podcasts and videos. Research has shown that children brought up with a strong family narrative handle life better. In fact, a strong family narrative makes a family happier. Bet you didn’t know that your family history research is actually benefitting your family as they cope with the future. Do read The Stories That Bind Us (New York Times). 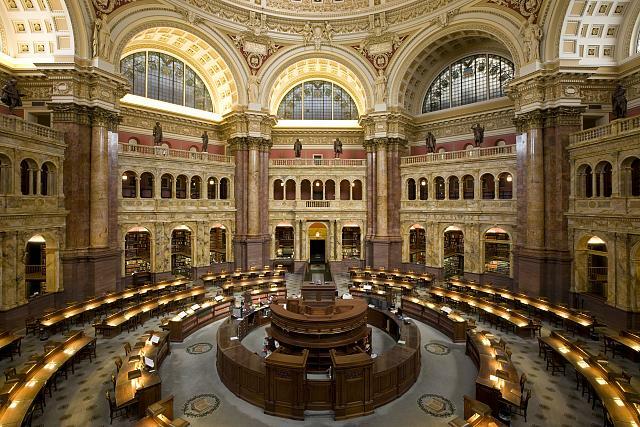 Haven’t visited the Library of Congress (LOC) and you want to know about the Main Reading Room? View this video (alternately, the video is also on this page). You will need to install Real Player to view the first video link. The LOC has a massive collection of webcasts. St. Augustine, Florida, is such a neat place to visit. I have spent a few vacations there. Little did I know that there are parish documents stored there, held by the Diocesan Archives, which date back to 1594 that record the births, deaths, marriages and baptisms of the people who lived in St. Augustine from that time through the mid-1700s. Soon we might all be able to explore these neat records as reported in Work under way to digitize 1500s Fla. records. In the past, though heirs might squabble over the photo albums, family journals, photo albums, etc, someone always got this stuff. They might not have shared it and someone at least had it. This of course assumes that the family members did care and it didn’t end up in a dumpster. We all have those kinds of tales to tell. 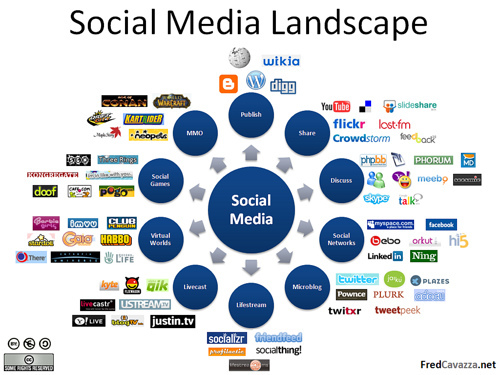 Now, in our age of Facebook (FB), MySpace, Google+, Instagram, Pinterest, and numerous other social media options, NO-ONE is guaranteed to get access to all the stories, images and much more which is now posted to the web and maybe not ever stored anywhere else. The heart-breaking story told in After a death, Facebook photos could fade forever could be faced by any of us. Currently, the best way to handle this is to know the law (state and federal) and be pro-active. For example, I regularly check out the FB pages of my extended family and make copies of any images that they have posted. This way, if their account is every closed for any reason, I will still have those images. Are there steps that you take to “preserve” anything you or others have posted on the web? Do you actively save/archive any posted material – stories, images, etc? Arlington, VA, 24 april 2013: The National Genealogical Society announces the release of Mastering Genealogical Proof by Thomas W. Jones, phd, cg, cgl, fasg, fngs. As a unique textbook on genealogical methods and reasoning in the twenty-first century, Mastering Genealogical Proof guides readers in acquiring genealogical skills transcending chronological, ethnic, geopolitical, and religious boundaries. 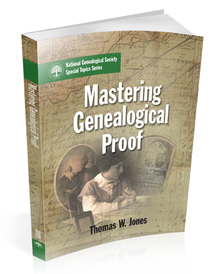 Dr. Jones, a noted writer, lecturer, and editor in the field of genealogy, explains and develops the level of proof that is appropriate to genealogy. Keeping the lights on -- are genealogical book publishing houses in jeopardy? 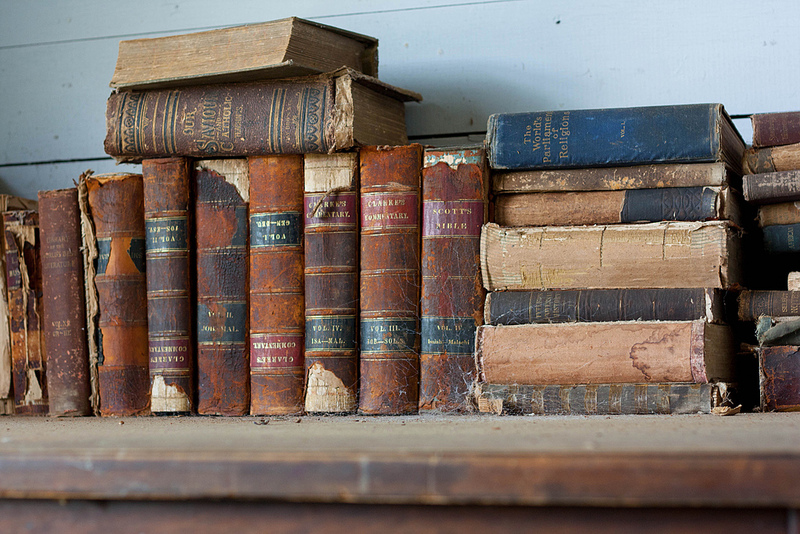 What about societies and the books they've historically published? In the post, Craig provides his perspective on some recent developments and how they have and will impact book publishers, in particular, those who publish genealogical, family history and related works. I strongly encourage you to read his post and to also read the extensive comments collection. As I was re-reading the post and comments today, it got me to thinking about our local genealogical society (and I’m sure it’s not alone in this). What impact will this have on societies in the future? Will they opt not to “publish” material figuring that they won’t be able to earn any money or recoup their expenses? When you combine this element of sharing digital copies of books with the massive digitizing efforts of FamilySearch, Ancestry.com, GenealogyBank, etc, will societies stop publishing books and journals? Will volunteers stop transcribing and abstracting records for publication since they are too busy indexing database entries online? As genealogy societies strive to keep up with technology and retain their relevance in this increasingly digital age, do the issues discussed by Craig, Judy and various others add another nail into the genealogy society coffin? Please do share any thoughts or reactions you have to Craig’s post and related. Arlington, VA, 22 APRIL 2013: Tick tock! 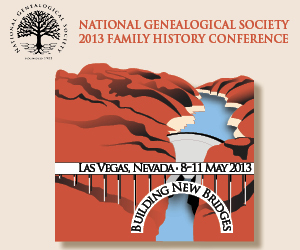 Today is your last chance to purchase tickets for meals and tours and to pre-register for the NGS 2013 Family History Conference, 8–11 May at the LVH-Las Vegas Hotel and Casino. Pre-registration for the conference and ticket sales for meals and tours ends today, 22 April, at 11:59 p.m. EDT. The conference begins in two weeks. You can still purchase tickets for meals, the Museums Tour, and the Hoover Dam Tour. The BCG Education Fund Workshop, Librarians’ Day, and the Night Tour of the Strip and Downtown are sold out. To be placed on the wait list for the BCG Education Fund Workshop or Librarians’ Day, e-mail the NGS conference registrar, Courtney Holmes, at [email protected]. 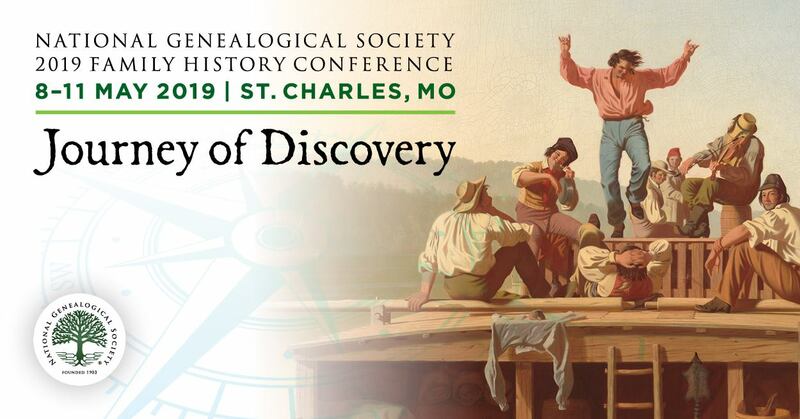 To register for the conference, visit http://www.ngsgenealogy.org/cs/conference_info. For tour information visit Las Vegas Area Tours at http://www.ngsgenealogy.org/cs/conferences_events/annual_conference/las_vegas_area_tours. On-site conference registration opens Tuesday, 7 May 2013, 12:00 p.m.−7:00 p.m. We look forward to seeing you in Las Vegas! Meals and tours cannot be purchased on-site. Ticket sales close today, 22 April 2013. Meals: log on at http://www.ngsgenealogy.org, click on My Account, select My Events, and then click to Add Sessions. Tours: log on at http://www.ngsgenealogy.org, click on My Account, and then select Upcoming Events. I love #1 – Speling Dusn’t Cownt. How many times have I talked with people who really get hung up on spelling. Typically, that changes once I show them how many ways I found their ancestors name or place of residence listed! Which is your favorite rule? What rule(s) would you add? Link for Digital Public Library of America is now live, here, http://dp.la/!!! Today the Digital Public Library of America will launch live at noon EST. Unfortunately, due to the recent tragedy in Boston in front of the Boston Public Library (where the gala launch was to take place), the scheduled events will not occur though an event is being planned for the fall. Shortly after it goes live, I’ll provide comments to this post with any additional news. Once you get to take a peak, please do post comments about what you found -- the neat, the bizarre, the helpful and the things that made you shout out loud!